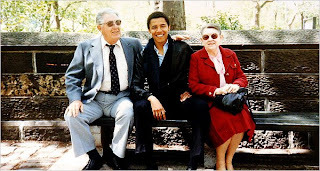 WEST PALM BEACH, Fla. -- Democrat Barack Obama is cancelling nearly all his campaign events Thursday and Friday to fly to Hawaii to visit his suddenly ill 86-year-old grandmother. Campaign spokesman Robert Gibbs told reporters Monday that Obama's grandmother, Madelyn Payne Dunham, who helped raise him, was released from the hospital late last week. But he says her health has deteriorated to the point where her situation is very serious. We send our best wishes for Madelyn Dunham's health and our support for the entire family. This must be a very difficult moment for everyone.